The Color Swirl 3-Color Coupler seamlessly blends 2-3 color icings as you pipe. Choose from double swirl or triple swirl colors. 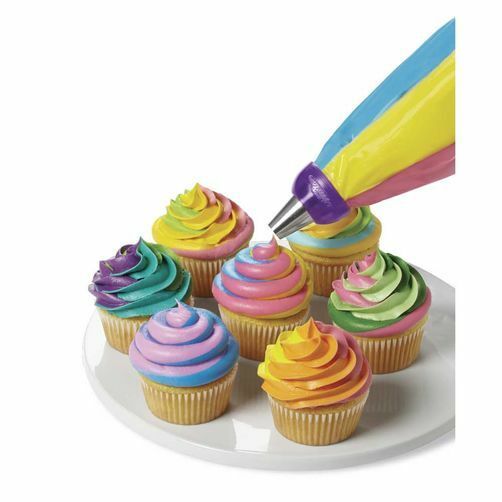 The interlocking coupler pieces connect multiple decorating bags, allowing you to swirl 2 or 3 colors together with one simple piping motion. Just connect and secure with the included ring. Color Swirl? 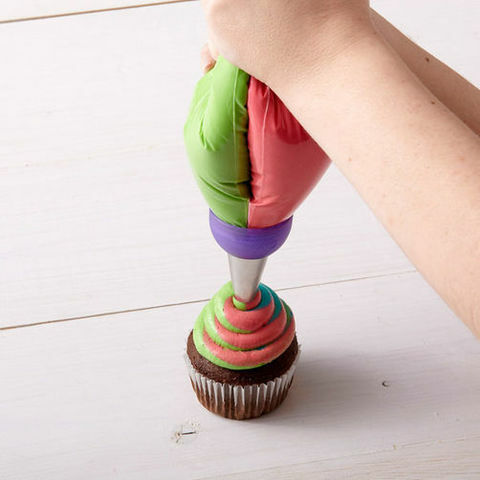 3-color coupler interlocks three decorating bags (sold separately) into place so you can easily decorate cakes, cupcakes and other sweet treats in multiple colors. You can also switch out tips easily for different piping techniques in the same icing colors. 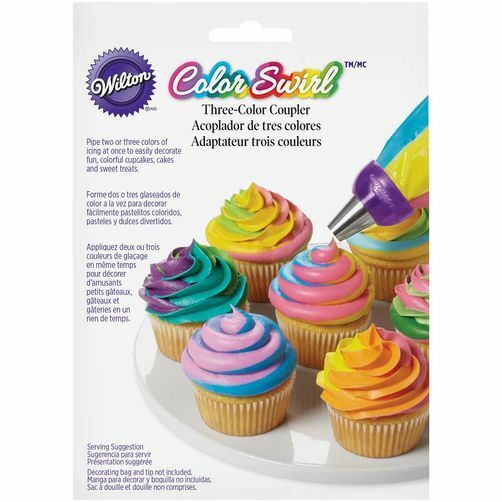 Color Swirl three-color coupler includes three interlocking coupler pieces that are placed in decorating bags. The ring holds the decorating tip secure while piping. Recommended to use with Wilton 16 in. Decorating Bags and Decorating Tips 1M, 1A, 2C and 4B (sold separately).